It started out innocently enough. Just playing with the BERNINA 780, all shiny and new on my sewing table. 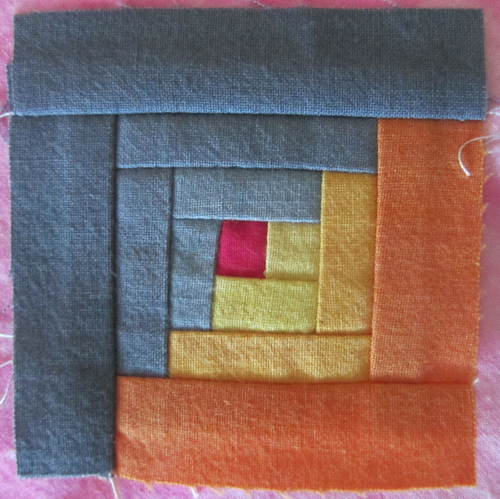 I didn’t even have the 1/4″ Patchwork Foot #37 that I’ve depended on for years. That foot changed how I piece and how I see the stitch plate. Putting the patchwork foot on my 1080 gave me a better sight line and understanding of the stitch plate and how to use it correctly. 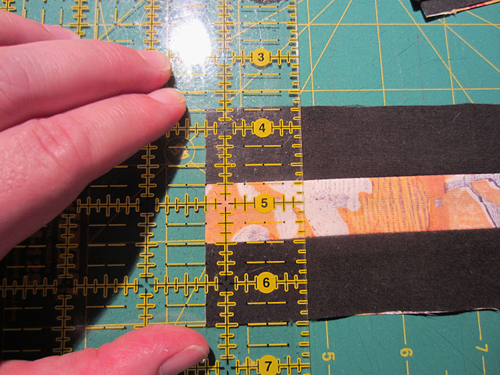 Initially I used Jeans Foot #8 with the dual feed engaged, as I hadn’t picked up the Patchwork foot, finding that I can get a pretty good quarter-inch seam. How cool is that?! Feeling the wider feed dogs under my fingers helped me keep the seaming straight. Okay, okay I admit I like that extra space where I can get my hand in there and get super close to the needle without knocking my knuckles. I had a lunch date with Melanie Testa a few weeks after getting the 780. She gave me several pieces of her hand-printed cloth to do with whatever I wanted. 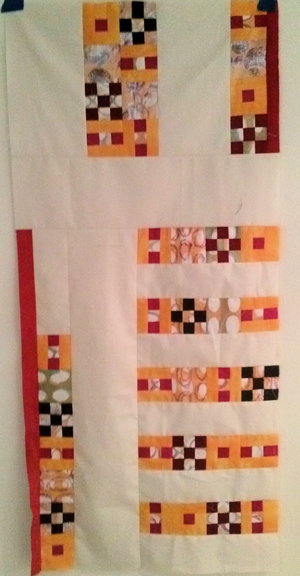 A few days later with the #37 foot in place, 1” strips of Melanie fabric and Cherrywood hand-dyed solids I started making 9-patch blocks. The priceless moment came when the seams measured exactly ¼”. Oh how I loved that moment – so much that I had to do a happy dance and of course post it on facebook. 9-patch after 9-patch came alive under the needle. 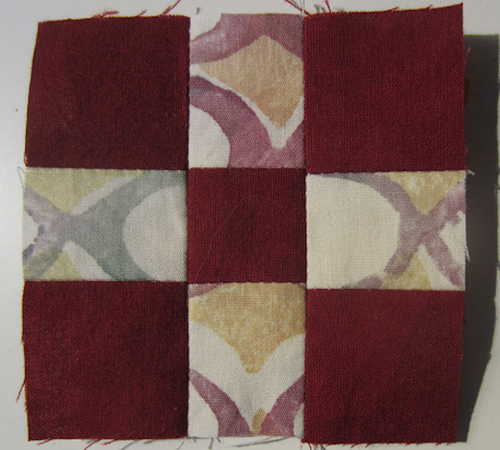 This exercise in stitching patchwork reminded me of something beautiful about piecing and about BERNINA…the beautiful thing about quilting in general is that skill is gained over time and is enhanced with great tools! This 780 is a great machine! The quilt top is finished; it has a modern feel and I love it. An idea popped in with an old saying, “go big or go home!” As I stitched these mini blocks I thought, “go mini or go home.” And from this thought a class with a couple of options has developed. Why not have fun going small? The class focuses in on using the BERNINA straight stitch plate, 1/4″ Patchwork Foot #37, and Freehand Embroidery Foot #24 or BERNINA Stitch Regulator #42. 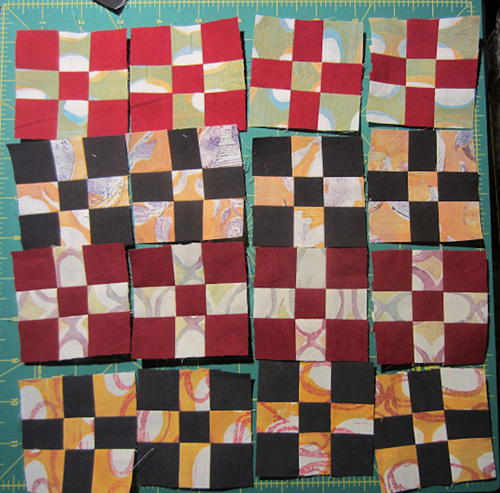 There are three piecing options for the class: Nine-patches, Log Cabins, and Lone Stars, then a second day can be added for quilting the top, and focusing on scaling quilting motifs to work small.